These delicacies are individually wrapped to maintain its freshness and for you to always have a sweet bite at hand. 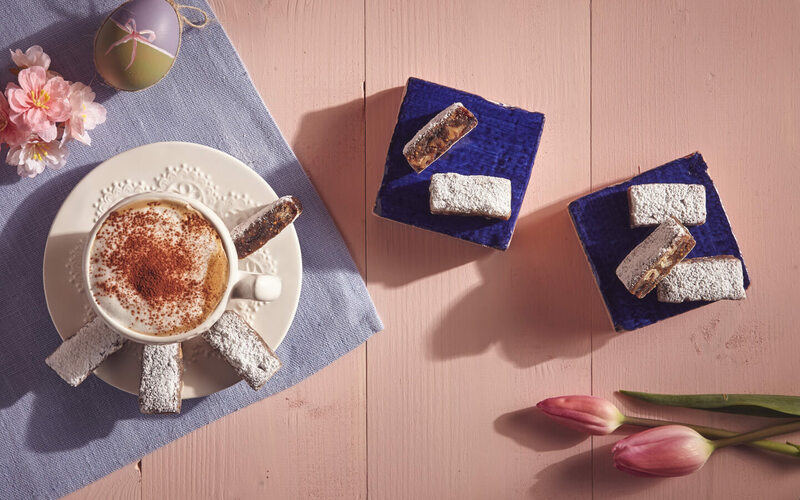 Choose between our aromatic almonds and candied fruit or our scrumptious figs and walnuts. The Delizie Toscane are prepared with few and genuine ingredients making simplicity their best trait. Sugar and candied fruit are immersed in a cloud of steam preparing the blend to be carefully mixed with flour, almonds, fragrant spices and other ingredients to create a mouthwatering delicacy. Our unique qualities create unforgettable moments thanks to the skills of our pastry chefs and their constant respect for tradition.